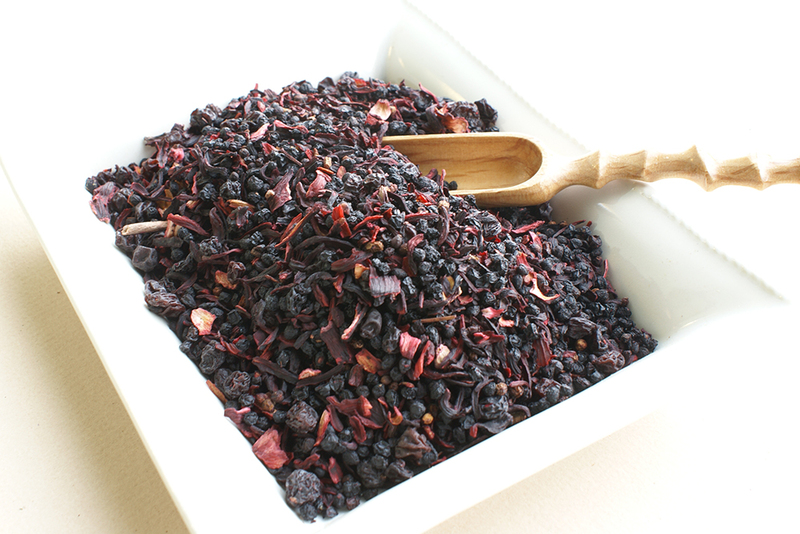 Our delicious cranberry tea drenched with sweet cream. 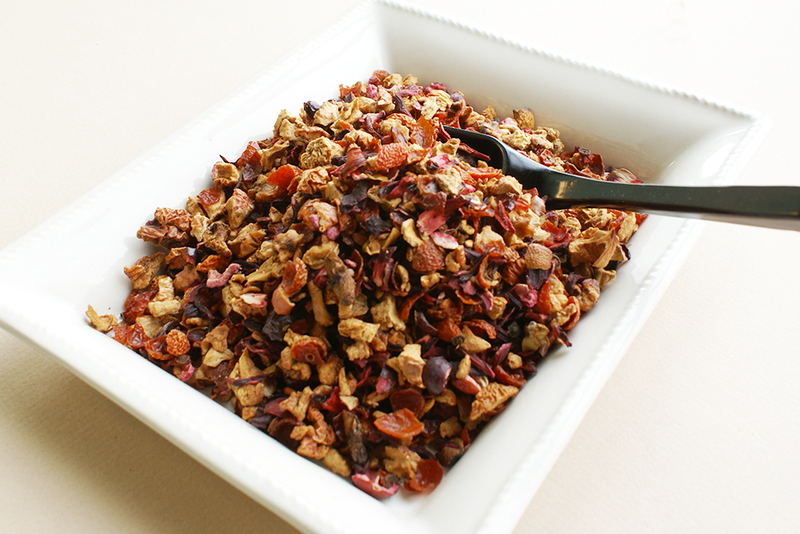 Apple, rose hips, hibiscus flowers, and dried cranberries. 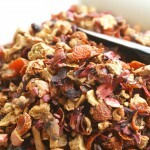 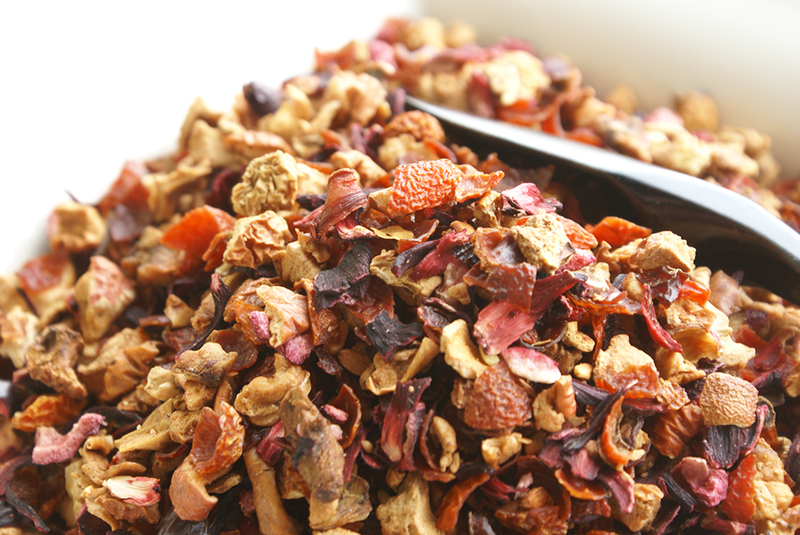 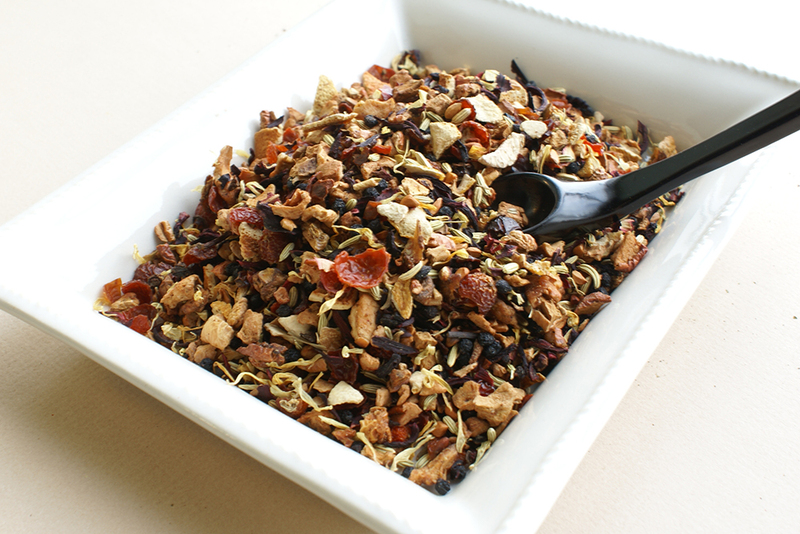 Fruit Tisane is any beverage made from the infusion or decoction of berries, fruits, and other edibles in hot water, and usually does not contain caffeine.